Below are Two Posts for the Blog Hop and Swap! Hi. 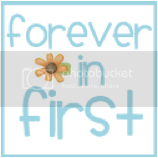 My name's Tammy from Forever in First. I'd like to thank Staci for handing over her blog today (to practically a complete stranger, no less). I promise to take really good care of things while she's away. My library, like most classroom libraries, exposes my readers to several different genres, even magazines. My young readers really enjoy them, but unfortunately there's a problem. Where are the magazines that are actually readable for your average developing reader? A few years ago, I tracked one down. My kids love Chirp. They love it, because they can read it. Finally a magazine that's accessible to my readers. This shows an example of the text at its easiest level. It's got a comic book kind of feel to it. The stories are fun and kid-friendly. Here's an example of a non-fiction section. (Common Core would be happy.) There's a little something for everyone. I've saved the best for last, at least that's what my kids would say. There are four jokes on the back of each edition, and my readers will read them over and over and over to anyone who'll listen. If you've been looking for a great classroom magazine, look no further. Chirp comes highly recommended. My kids would give it two thumbs up! Thanks again Staci. It's been a pleasure to be part of your little world today. That magazine is just too cute!! My readers would love it and this information comes at a great time as my school is considering ordering some classroom magazines for this coming school year. Yay! I have been wanting magazines for my library...these look perfect! Thanks Tammy! Thanks again Staci for letting me post on your blog today. I appreciate it! Thanks for telling us about Chirp! That classroom library system is amazing-you sure do have a lot of books! Chirp sounds like something I need to look into. Thank you both for sharing all this good stuff! But once it was fixed- I added it to my Sub folder- Students no touchy touchy!!! This magazine looks great!! Can't wait to tell others about it! 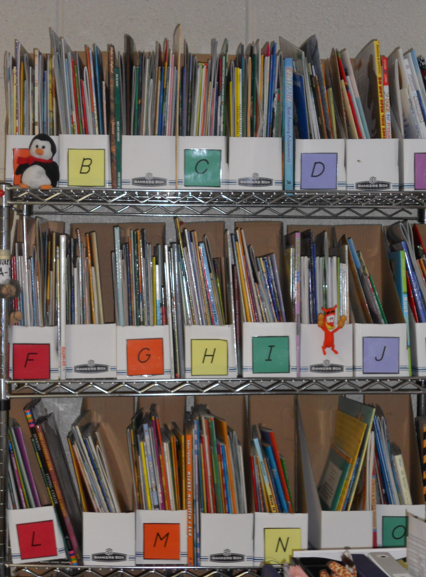 That is a really cool way to organize your classroom library! Love that! Creating a visual for you: Draw dropped, eyes wide as saucers at the wonderfulness in both of these posts. Seriously...I'm feeling like a total failure in comparison. Thanks for rockin' it out today! Awesome posts - very informative! 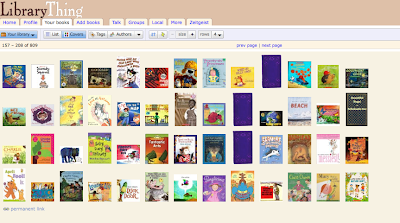 I love the idea of having all my books online and accessible like that! And how coincidental is it that there's a Chickadee magazine too?! I just signed up to get the Chirp subscription papers to pass out to my kiddos - I love that we get gifts just for sending in the subscriptions paper even if the parents don't order! Thanks, Tammy! I'm going to check out Chirp. 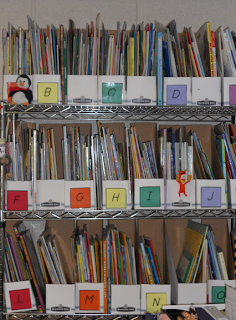 LOVE the library thing idea, Staci! I'm loving this resource! I also found another one recently similar to this! I'm going to check both out :] I'm a new follower of yours!